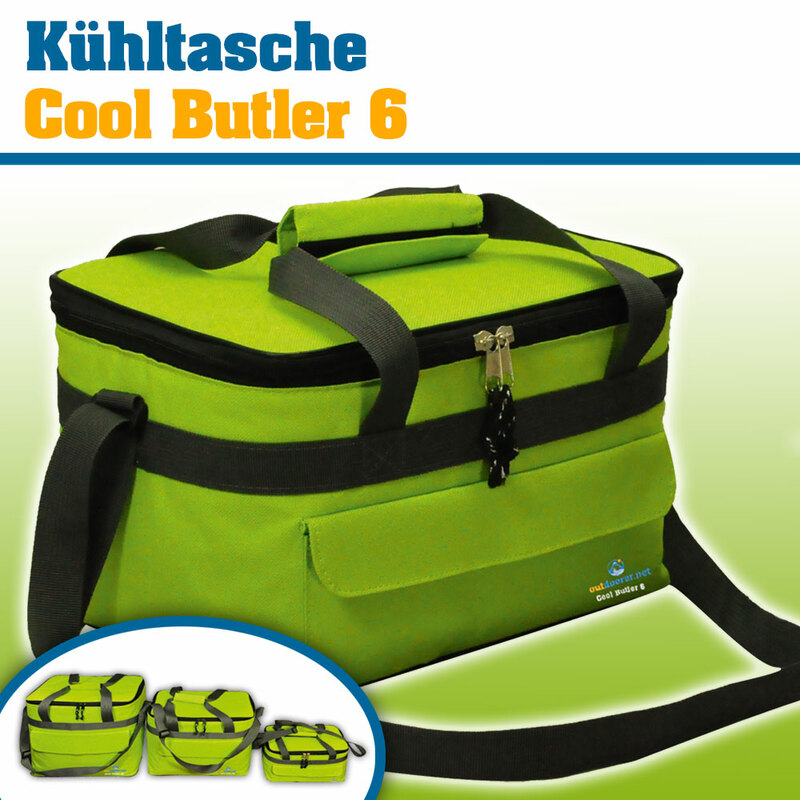 For those for whom the Cool Butler 25L is too large, Outdoorer has developed the mini cool bag Cool Butler 6L. Its size has been minimized for easy transportation, but the functionality and the high quality of the Cool Butler series have remained the same. The practical Cool Butler 6 is available at Amazon. The small cool bag the Cool Butler 6L is the perfect companion for trips into the countryside. With its small size, it can be transported easily. It can even be fixed quickly onto your bike’s luggage rack so you always have cool drinks and snacks while on the trail. The cool bag is also ideally suited to excursions to the beach or the lake for a picnic. To avoid having to stand in line forever in the queue in front of a kiosk, you can take food and drinks from home easily and you’ll be well-supplied for hours. The Cool Butler 6L’s insulation is excellent. Food and drinks stay cool and fresh for hours even at temperatures above 30 degrees. Thanks to this feature it can be used at the supermarket as a stylish alternative to an ordinary freezer bag. In developing the mini cool bag Cool Butler 6L, particularly great importance was attached to making it a convenient size. At a size of 26x19x17 CM and with a volume capacity of 6 litres, 0.5 litre PET bottles can also be conveniently stored in it. The outer edge of the base has been reinforced for a long, useful life. This prevents the seams from tearing when the bag is fully packed. To make it more comfortable to carry for long periods, the carrying handles of the cool bag Cool Butler 6L are covered. This padding stops the hands from being cut when the bag is being carried and makes the bag feel better in the hand. To make the bag even more comfortable to wear, it is also equipped with a shoulder strap. Hence if carrying it in the hand is too strenuous, it can be carried over the shoulder. An outside pocket is stitched to the front of the Cool Butler 6L. This is enough space for the little things that you like to keep to hand at all times. Where is the Cool Butler 6 available? The Cool Butler 6 is available at Amazon.